Even riders with scores of wins search for that elusive accomplishment, the prize that somehow has slipped through their fingers. On Saturday Luna Pro Team’s Katerina Nash scooped up the one that had eluded her, the final overall lead of a US cross-country series. 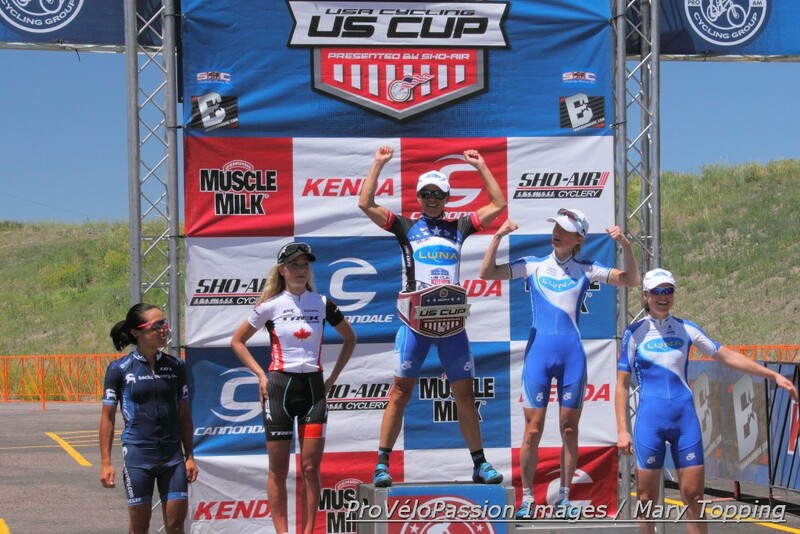 She won the last race of the USA Cycling US Cup Pro Series, in north Colorado Springs, which handed her the overall series mountain bike victory. Speaking after crossing the finish line Saturday, Nash said, “This is actually a really cool moment for me because I raced in the US for a really, really long time and this is the very first time I won the series overall for cross-country. 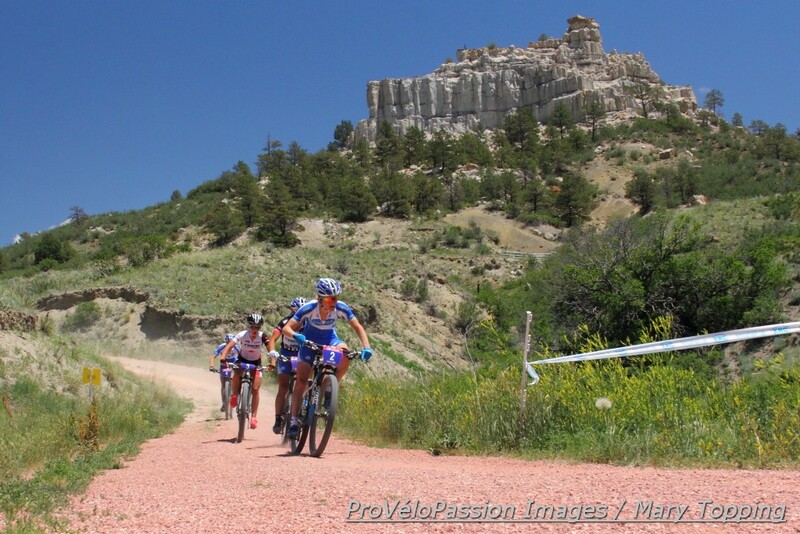 The last 2014 Pro Series US Cup / Kenda Cup event took place in the Pulpit Rock Open Space at an elevation of about 6,300 feet. 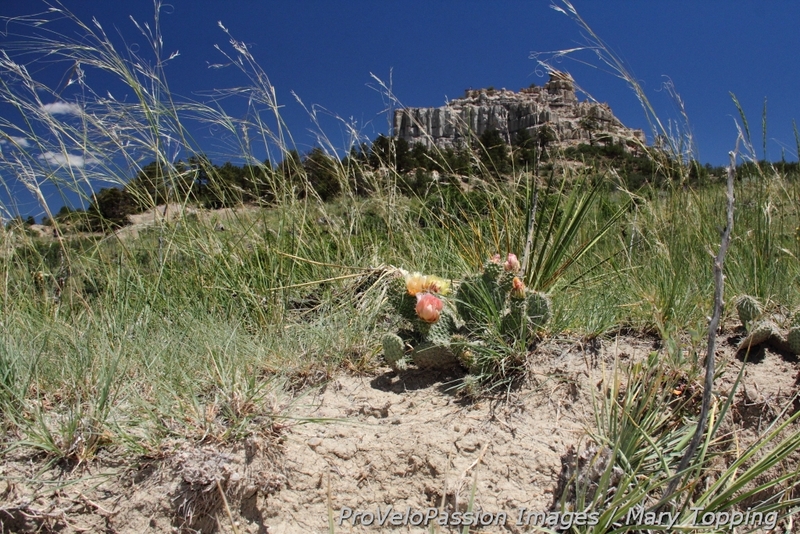 Dirt portions of the course looked like classic high desert country after a dry spell: dusty single track with loose rock through fields of Prickly Pear cactus, spiky yucca, and tall native grasses overlooked by massive creamy gray rock formations. The land rose to the east away from the start line; juniper and pine shaded rare portions of the higher elevations, but almost never the trails. The pro women completed seven laps of the 3.4 mile circuit in a fast time of one hour 43 minutes. Course surfaces also included pavement, double track, and wide gravelly path. 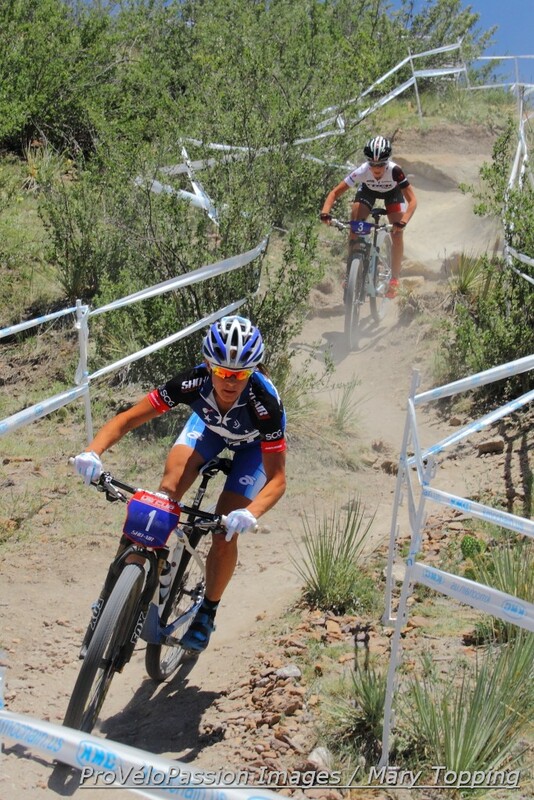 Nash came to Colorado Springs as the series leader, but teammate Catherine Pendrel and Trek Factory Racing’s Emily Batty had accumulated enough points to jump over Nash if she had a bad day. Mid-way into the race, after aggressive riding by Georgia Gould, Batty rode in the middle of a Luna Pro Team sandwich anchored by Pendrel and Gould with Nash on Pendrel’s wheel. “Halfway through the race it was kind of obvious that Emily [Batty] was going to sit in and not really try to lead because she is from a different team,” Nash said. “So we sort of slowed down a lot.” Realizing their lead might fizzle out if they just played tactics, the group sped up. Erin Huck (Tokyo Joe’s-VCGraphix), Daniela Campuzano on the Mexico national team, and Chloe Woodruff (Backcountry.com) each chased alone ahead of the rest of the field. Pendrel took responsibility for carrying Nash and Batty after her teammate. Evelyn Dong was moving up and would join her Backcountry.com teammate, Woodruff. Feeling strong with about one lap to go, Nash took off. She passed Gould who held on but couldn’t pull the series leader back. Nash won by just under two seconds ahead of her Colorado teammate, Gould. Gould salvaged her day with another prize. The race doubled as the Colorado state championship. 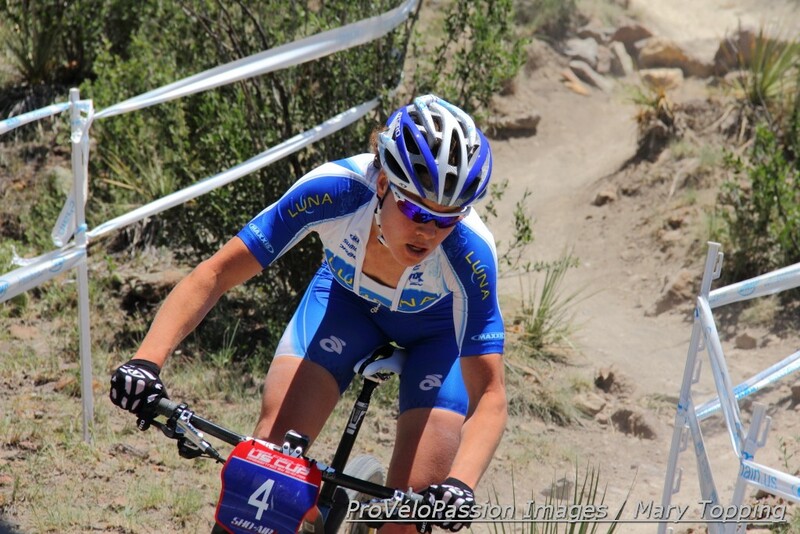 She was the first Colorado rider to finish, which earned her the state title. Batty and Pendrel placed third and fourth which secured top three for both in the overall series competition. Daniela Campuzano completed a strong day with fifth.